As we count down the top 30 linebackers in our Top 100 rankings, how many of you are biting your nails, wondering “Where’s Player A/B?” Is this guy nuts ranking some of the others so low/high? If I am nuts it is because I love sports and watch football religiously. I understand how dominating some linebackers can be and see the potential others have. That is how I have come up with these top 30 linebackers. 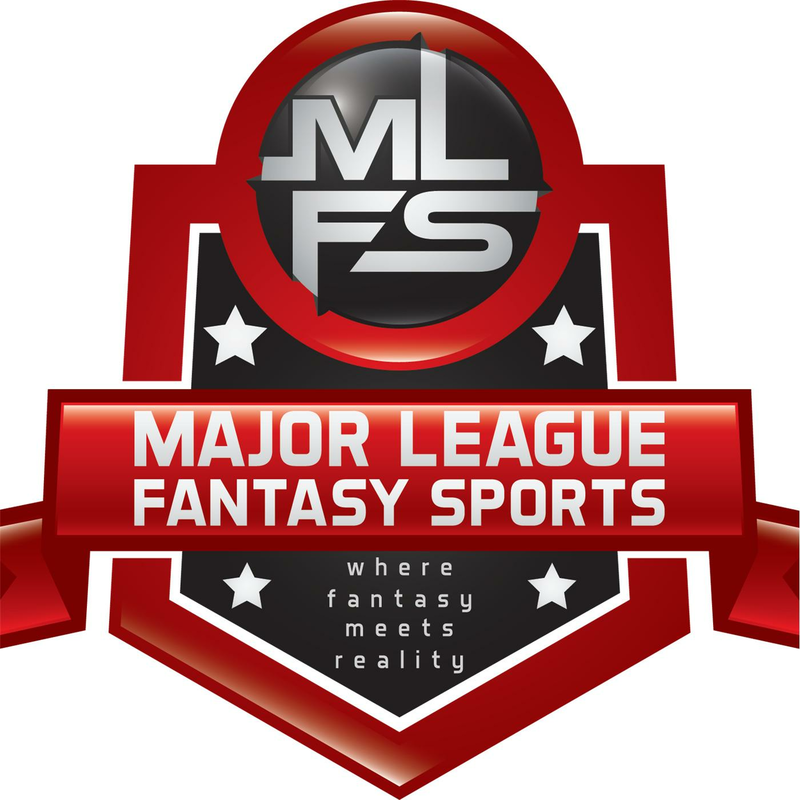 They are not perfect, but they reflect scoring fairly and are geared towards MLFF leagues. If I left someone out, call me out. If I’m too high/low, discuss it here, and if you just think I’m insane for ranking some of these players so high…well, let’s just reveal the Top 30. 30.) Brian Orakpo (TEN)- Surprising to some to be this high, but Orakpo is a solid option for sacks on a weak Tennessee defensive unit. His effect on the passing game is very underrated as he is constantly pressuring the QB and forcing errant passes. If he could get his hands on a few more passes, he could come up with a pick, and is always in the backfield tracking the runningback. He may disappear a week here and there, but he makes for a solid LB3 play. 29.) Connor Barwin (PHI)- Under Billy Davis, Barwin excelled as a 4-3 outside linebacker, but will transition to a more rotational pass rusher role under new DC Schwartz. This could hurt his value some, but if Vinny Curry struggles out of the gate, Barwin will lock be locked in for additional snaps. He is one of the elite pass rushers in the league, finishing with 14.5 last season, and looks poised to dominate as a rusher once more this season. 28.) Eric Kendricks (MIN)- In order to reach his potential, Kendricks must improve in coverage as that was why he was limited to a two down role much of last season. He can flow side to side with ease and has shown glimpses of being serviceable in coverage. But he needs improvement. He also needs to be more assertive when he meets ball carriers to get them on the ground. Opponents will be hard pressed to trick him, but if he doesn’t get into ‘bullrush’ mode quickly, he could be slowed by tackles. Barr is currently the best linebacker on the team, but Kendricks does have the potential to join him as an elite linebacker from the MLB position of an emerging Vikings defense. 27.) Mychal Kendricks (PHI)- Kendricks will play the Levy role for DC Schwartz in Philly, and he should excel in the role, since he has the range to cover the whole field and rush when need be. He is a big playmaker and is not afraid to go after the ball or lower the boom. With no more Chip Kelly around, Kendricks should be in for a bounce back season after a disappointing 2015. 26.) DeAndre Levy (DET)- A hip injury cost Levy practically all of 2015, but Levy is back and looks to be ready for Week 1. When healthy, Levy is a monster in coverage and hits hard as hell. Only in 2013, Levy had six picks and led the Lions in tackles in 2014 with 151. While the Lions defense needs to be rebuilt, Levy’s return is definitely a step in the right direction and he has top 10 potential. No one would be laughing if you had him as your LB1. 25.) Myles Jack (JAX)- I lauded this guy in my rookie rankings and truly believe he will win Defensive Rookie of the Year. Yes, knee concerns caused his stock to plummet during the Draft, but he joins a nasty line with play makers Telvin Smith, Paul Posluszny, among others and should be good to go for Week 1. Like Telvin, Jack is very fast and can be a difference maker in coverage. Sooner rather than later, Jack will assume to the role of the Jaguars middle linebacker, but for his rookie season, they will ease him into the game, and he should see significant time at strongside and in subpackages (No, Dan Skuta cannot hold this monster off). While it is always risky investing highly in rookie defensive players, do not let Jack past you as he is poised to form a nasty tandem with Telvin Smith and dominate for the next decade. 24.) Alec Ogletree (LA)- Ogletree was limited to four games last season due to a fractured fibula. But he had been playing at a torrid pace during his first two seasons, and was emerging into one of the most dominant linebackers in the league. With no Laurinaitis around anymore, Ogletree should see increased opportunities to make plays, and given his knack for coming up with the football, whether it be on the ground or on a pick, he should be on everyone’s radar come Draft Day. He can simply do it all. 23.) Brandon Marshall(DEN)- Sure, the loss of Danny Trevathan is going to be felt, but it could be argued, that by agreeing to a four-year extension with Marshall, they locked up the better inside linebacker and an elite, young option there too. Marshall just blows up the stat sheet and must always be accounted for by the offensive line. The problem is, Marshall is still progressing his game and is on track for a career year in Denver. Watch out! 22.) Chandler Jones (ARZ)- Jones is a hybrid OLB/DE. But he is a great fit for the Cardinals and should see sack opportunities aplenty. Bruce Arians had been coveting a young, outside linebacker that he can rush every play, and Jones fits the bill perfectly. The Cardinals run an aggressive defense, and since offensive lines have to account for everyone, there may not be enough opportunities to double Jones. He is a top 3 pass rusher in the league, and if he can continue to force fumbles, runningbacks and QBs alike are in even more grave danger. Only 10 players have reached 20 sacks in a season, could Jones be #11? 21.) Deone Bucannon(ARZ)- Take away his deficiencies in run defense, and Bucannon is one of the best inside linebackers in the game, and that is not about to change. The league may want to enact a law saying Arians is not allowed any more nasty young talent on his defense, because dayum, that entire line is stacked, and with the addition of Chandler Jones outside, gimme a break. Bucannon is great in coverage and is a capable pass rusher from the middle, meaning he will always be around the ball or creating plays for others. LB1 material on Draft Day for sure. 20.) Clay Matthews (G.B. )- The addition of Blake Martinez through the Draft allows Matthews to move back to his more natural position of outside linebacker, where he excels. Matthews played admirably last season when he was forced to move inside to help a struggling Packers linebacker unit, but the move hurt the defense more and exposed the defense’s weakness: once offenses established a run game the Packers were forced to play man, and they got killed through the air. With Matthews back outside, he will once more be able to apply more direct pressure on the QB and command the defense from the outside. 19.) Malcolm Smith (OAK)- Smith was on the field for 99.1 percent of defensive snaps in 2015 and is always in the middle of things. The Seahawks did not realize his potential, but Oakland took that chance and now has a great young tandem in Smith-Mack. Mack is a good pass rusher and sure tackler who hits hard, wraps up and will deflect a few passes. While this is an aggressive ranking for a player who just broke out last season, his durability, tackle total and potential for a turnover make him worth the risk. 18.) Paul Posluszny (JAX)- Poslusnzy may not be the same force he used to be, but he still is an elite tackler. He always catches QBs off guard because he understands how guards and tackles attack him on the inside, and simply bulls through them as he is quick off the line and attacks at full speed. Playing on the same line as young studs Jack and Smith might hurt his stats slightly, but you can do worse for your LB1/high-end 2 since he will rack up over 120 tackles and is always a good bet for two or so interceptions and above average play in coverage. 17.) Denzel Perryman (SD)- If your leagues counts stats versus the run, snap Perryman up because he is second to none stopping the run, and is in line for a three down role in 2016. The Chargers best linebacker played only fourteen games last season due to a pectoral injury, but he graded out as the second best inside linebacker. If he develops a pass rush from the inside, move him up because runningbacks stop where he is at. He is a sound tackler who tracks the ball carrier well and is not easily fooled. He may not be a good source of passes defensed, but he is a stuffs machine. 16.) Anthony Barr (MIN)- Barr flat-out can do it all from the outside linebacker position. He was top four in coverage among all 4-3 linebackers in coverage last season and is extremely effective when he rushes the passer, finishing with the best rate among 4-3 LBs per rush for pressuring the QB last season, meaning when he did rush, it was near impossible to stop him. He has quietly become one of the top linebackers in the game, and if he continues his dominating ways, he could find himself in the top 10 or 15 by season’s end. Coach Zimmer is forming one of the best defenses in all of football and Barr is at the center of it. 15.) Kwon Alexander (T.B. )- Alexander makes a name for himself in coverage and was great for the Bucs last season. But if you look beyond the numbers you will see that he struggled with his tackling technique versus the pass and could be exploited by play-action passes as he would take the bait every time, leaving his assignment to rush the line for the ball carrier (never was one). This led to big plays for opponents and blown plays for Alexander. He is young enough to learn not to be baited and plays along a very aggressive line that will hone his defensive capabilities and turn him into one of the better coverage backers. 14.) Bobby Wagner (SEA)- Stats may not show the tale of the tape, but Wagner struggled in 2015 due to a pectoral issue that caused his play versus the run to drop from second best among ILBs in 2014 to very pedestrian numbers in 2015. Compounding his troubles were his decreased effectiveness in coverage and allowing more yards per catch than he had during any point of his career. If Wagner is to return to being the dominant inside linebacker and run stopper he was throughout the early part of his career, he needs to dominate the run and show 2015 was a fluke. He is still worth an investment as an LB1, but won’t come at the tag he did last season. 13.) Derrick Johnson (K.C. )- Johnson will once more lead the Chiefs in tackles and be a cornerstone for the defense while they await Justin Houston’s return from a torn ACL. Investing in Johnson will net you a solid tackle total to go with a few forced fumbles and passes defensed. As an added bonus, with Houston out, look for Johnson to also supply a few sacks. He is always overlooked on Draft Day because of his age, but he just continues to play solid defense. 12.) Thomas Davis (CAR)- Davis will continue to play Robin to Kuechly’s Batman, and fantasy owners have grown accustomed to drafting Davis then being repaid kindly for their investment. Over the past four seasons in Carolina he has posted triple digit tackles to go with a handful of stuffs and passes defensed. That will not change in 2016 as teams continue to struggle versus Kuechly, opening up opportunities for Davis. 11.) Ryan Shazier (PIT)- If not for shoulder and concussion issues in 2015, Shazier would have finished well inside the top 10. He absolutely abuses would be blockers, blows up runningbacks and is quickly developing a devastating pass rush move. The Steelers know how Shazier can dominate at any moment and a fully healthy Shazier in 2016 will be the leader of the Steelers. He gets his hands up and is capable of dropping in coverage, but the Steelers prefer to use him in the trenches alongside Timmons where he destroys everything in his path. And…..10.) Khalil Mack (OAK)- The only name that should be muttered in the same sentence when discussing pass rushers is Mack. Now, true he is listed as a DE, but he figures to see enough time at outside linebacker in most leagues to be eligible at LB. As this is the case, Mack stands to be one of the most consistent stat stuffers in IDP leagues and will always be around the ball, whether in coverage, rushing the passer or taking down a runner. You can’t stop him, you can only hope to limit how often he takes over the game. While he does not have a pick in his first two full seasons, look for that to change as he improves his ability in coverage and continues to work on developing into a more dominant pass rusher (scary we all know). Dynasty owners lucky enough to own him, should not let him go as he is a top five talent likely going forward and will compete for most sacks in a season annually. 9.) Von Miller (DEN)- Von Miller is hands down the best outside linebacker and might be the best real life linebacker, not because of how disruptive he is when he plays, but because of how his play outside opens up opportunities for the interior players. Coming off a fresh deal worth $114.5 million over six years with $70M of that guaranteed (second only to Luck), Miller is poised to build off 2015 and potentially post one of the best all-around defensive performances the league has seen in 2016. You can officially mention him in the same sentence as Lawrence Taylor. 8.) Karlos Dansby (CIN)- Dansby is exactly what the Bengals needed: a physical presence who can help in the run game and be more than capable in coverage. At 35, Dansby may not make it through an entire season, but with Burfict suspended the first three games, and below mediocrity at the other linebacker positions, ‘Los is in line for a bounce back season after a terrible 2015 season in Cleveland. Fantasy owners love him because he never disappoints and always delivers a well balanced stat line to go with 100+ tackles. 7.) Jamie Collins (N.E. )- Collins is due for a huge payday in 2017, and it is well deserved as he is the best linebacker the Patriots have and he impacts all facets of the game. He is good in coverage, capable of breaking passes up and picking some off, but also nails versus the run game as runningbacks are constantly looking up at him when he hits them. He also is underrated as a pass rusher as he had five sacks last season, and entering a contract year, he could just blow the NFL up. Just get ready to get your hands on him come Draft Day, and it will cost pretty penny. 6.) Navarro Bowman(S.F. )- Coming back from one of the most horrific knee injuries you will ever see versus the Seahawks in the playoffs, Bowman did not miss a beat in 2015 after missing all of 2014, and was a lone bright spot for a 49ers team that has many questions on offense and defense. Bowman is a solid defender versus the pass and an elite tackler, and plays with a nastiness that is hard to replicate. He is tough versus the run and knows how to dominate the line no matter where he is. In a second full season returning from his knee injury, look for Bowman to shake any residual dust and have an even better season in 2016. He is capable of multiple forced and recovered fumbles and should record at least one or two interceptions in 2016. 5.) Telvin Smith (JAX)- Smith is an ultra fast weakside linebacker who covers sideline to sideline with ease and is a plus defender in coverage. He will never be the sack machine that Myles Jack could be, or that Fowler is supposed to be, but he is a young linebacker who is still raw and plays with a hit and knock you out mentality. His big play threat leaves owners wanting more, and that more could come this season as he continues to emerge in the league. 4.) D’Qwell Jackson (IND)- Jackson is an absolute liability in the run game, but is better in coverage to the point where owners are willing to forget his shortcomings. True, he is aging, but the Colts need someone to continue to produce for their linebackers as they are trying Sio Moore at inside linebacker to compete with Nate Irving. Regardless, Jackson is a tackle machine who will net fantasy owners 100+ tackles and a decent passes defensed clip with 102 interceptions. 3.) Luke Kuechly (CAR)- Kuechly has dominated ever since he stepped foot on an NFL turf and is still improving. One of the best middle linebackers in the league, he excels in coverage, is nasty versus the run and knows how to create turnovers and finish plays. If you actually doubt anything Kuechly can do, you have no business playing fantasy football as you can’t do much better than your first LB on Draft Day. How many other linebackers can cover WR1s deep down field? This one can. 2.) Lavonte David (T.B. )- Kuechly had locks on top linebacker in the NFC South, then David stepped in and took it by storm. As good as Kuechly is in coverage, David is a bit better and offers more potential as a pass rusher and hits harder. Both are tough options to pass up, but if you can have only one, grab David as he will challenge for top defensive honors in 2016. 1.) CJ Mosley (BAL)- Yes, Mosley is the top linebacker for fantasy 2016 and it is simply because he could shatter his stats from his first two seasons and be a nightmare for anyone in his sights. He brings a Ray Lewis nastiness to the game and with how quick and instinctive he is, look for Mosley to continue to be a ‘do it all’ linebacker and create two defensive scores in 2016. What a ride that was over the past four weeks. Who are you most surprised to see in the top 100? Disappointed to see left out? make a case for/against someone and I’ll agree or rebuttal. I just need something to talk about until football season (including college) starts up again. Join me next week for the punt returner rankings. “65 Mustangs” Pick Your Spots: Week 20 Spot Starting & Relief Pitcher Guide. All it takes is one bad week.